Born Free is opposed to the Zambian government’s decision to allow trophy hunters to cull up to 2,000 hippos in the world-famous Luangwa River Valley over the next five years. In 2016, Born Free revealed that the Zambian government planned to cull 400 hippos a year. Without providing robust, scientific evidence, the government claimed the cull was needed to prevent the future spread of anthrax among wild animals along a 250km stretch of riverine forest between Chikwa in North Luangwa and Lusangazi in South Luangwa. The cull was opened up to non-Zambian trophy hunters as a hunt marketed by a South African company. After Born Free broke the news, the cull was suspended. However, Born Free has received news that the Zambian authorities have secretly overturned their 2016 decision and are once again promoting the cull to trophy hunters. 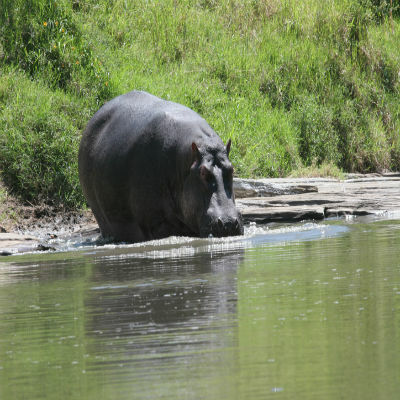 Zambia’s Department of National Parks & Wildlife (DNPW) claims that the cull is a ‘wildlife management tool’ to prevent anthrax outbreaks due to high populations of hippo, compounded by unusually low rainfall. 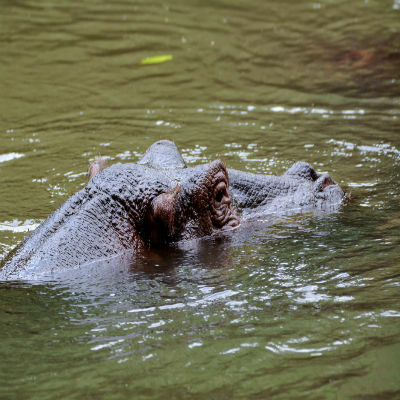 Wild hippo numbers across Africa are under increasingly pressure with a maximum estimate of just 130,000 animals - about one third of the number of the high-profile African elephant. Furthermore, as efforts increase to end the trade in elephant ivory, hippos are being increasingly targeted for their ivory as a replacement. 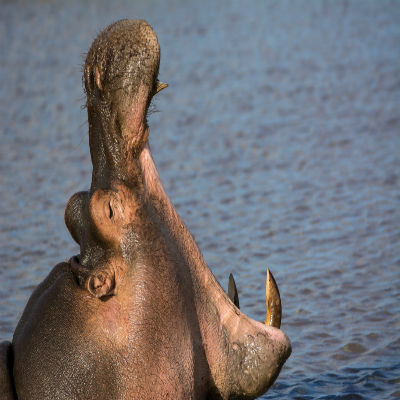 Latest data confirms that in the decade to 2016, more than 6,000 hippo teeth, 2,048 hippo tusks and a further 1,183 hippo ‘trophies’ were exported to EU Member States alongside thousands of other ‘parts and products’. International trade records show that from 2004-2014 around 60,000 kg of hippo ivory were imported into Hong Kong. Hippos are listed as ‘vulnerable’ on the International Union for the Conservation of Nature’s Red List of Threatened Species. There are thought to be just 115,000-130,000 living in the wild. The main threats to their survival are poaching, loss of habitat, deforestation and pollution. Born Free has written to the President of Zambia, His Excellency Edgar Chagwa Lungu, asking him to personally intervene and permanently halt the cull with immediate effect. Please contact His Excellency Edgar Chagwa Lungu. You may wish to say the following: You are distressed to learn of plans to reinstate the hippo cull in the Luangwa Valley. There appears to be no scientific justification for the cull, and the culls are being marketed to fee-paying hunters by price rather than by skill. Ask the President, politely, to intervene and stop the cull. Start off your comment or letter with ‘Your Excellency’ and sign off ‘Yours respectfully and sincerely’. Born Free is calling for a permanent halt to the cull of up to 2,000 hippos in the world-famous Luangwa River Valley over the next five years. If you agree, please help spread the word by sharing with your family and friends.